World records are constantly being broken by even better performances. The same holds for organizations. We believe that even within the best companies and organizations there are opportunities. Even for the most successful organizations, there are opportunities for improvement. Opportunities to perform things better, faster or more efficiently. Worldwide, many organizations achieve results with the application of Lean Six Sigma as an improvement method. 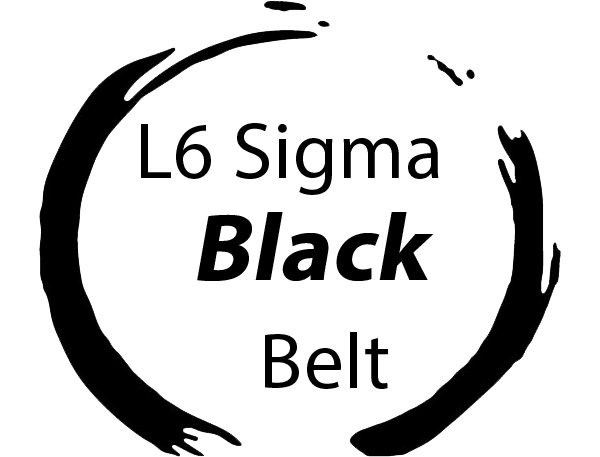 Lean Six Sigma offers a structured approach and a powerful set of techniques. Every employee has an important role in the improvement process. 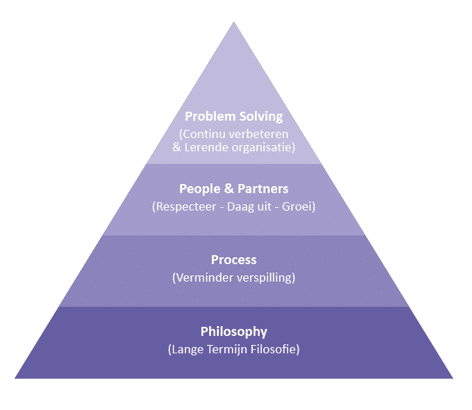 Therefore, our credo is: Inspiring people, improving processes. Lean Six Sigma is a combination of two management methods that have both proven their strength. 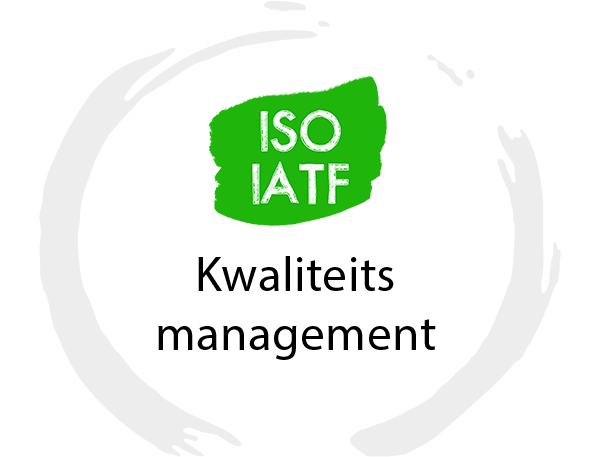 This method is successfully used by many thousands of companies and organizations around the world to shorten turnaround times, reduce operational costs and improve quality. The application helps these organizations to increase customer satisfaction and to be more competitive. In order to successfully implement Lean Six Sigma, it is important that you know and embrace the philosophy and principles. Lean Six Sigma takes customer and customer value as the starting point. This does not mean that the interest of the organization is not important. The philosophy is that if we take the customer as a starting point, this is also in the interests of the organization in the long term. In addition, customer and customer value can also relate to the internal customer within the own organization. In order to successfully implement Lean Six Sigma, it is important that you know and embrace the philosophy and principles. Lean Six Sigma takes customer and customer value as the starting point. This does not mean that the interest of the organization is not important. The philosophy is that if we take the customer as a starting point, this is also in the interests of the organization in the long term. In addition, customer and customer value can also relate to the internal customer within the own organization. The method consists of a toolbox of more than 100 powerful techniques. Lean techniques are used to improve the predictability, stability, and efficiency of processes by identifying and eliminating waste. Six Sigma techniques are used to reduce variation, which improves quality. Six Sigma techniques make extensive use of data analysis and statistical techniques. 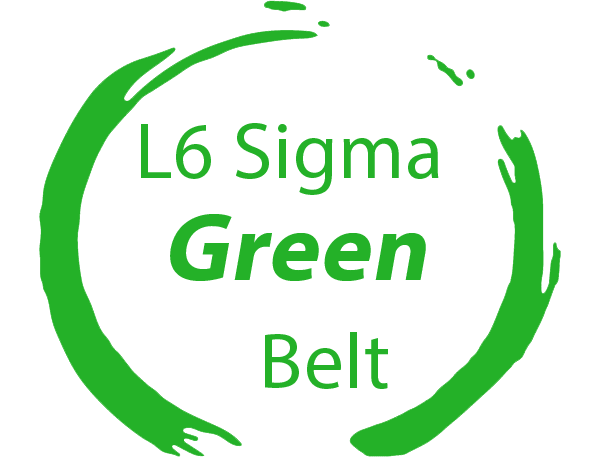 View our Lean Six Sigma Green Belt training and Lean Six Sigma Black Belt training. Just as the improvement method is a combination of Lean and Six Sigma, so are the principles of Lean Six Sigma. We build on the principles of Lean that were described in 1996 by Womack and Jones in their book 'Lean Thinking' (1996). 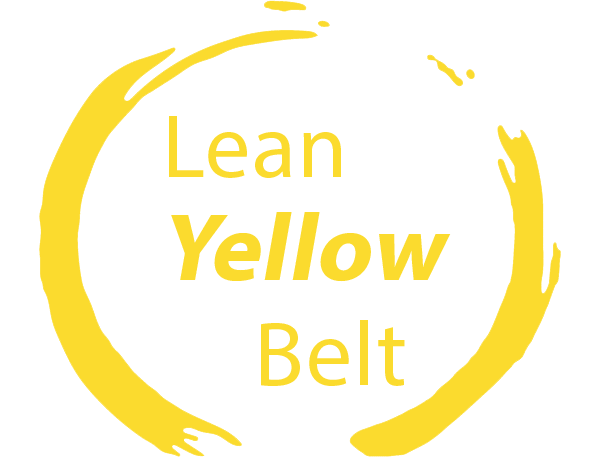 This book was for many people the first encounter with Lean and the start of the Lean movement worldwide. 'Lean Thinking' is still the source of inspiration for everyone who wants to work with Lean. Lean Thinking is about the revolution in the industry and describes in detail the 'Toyota Production System'. They describe a large number of Japanese companies and compare their way of working with the traditional mass production as was applied by various companies in the western world. Toyota is often referred to as the example of Lean but Toyota calls it differently. Toyota has developed the so-called 'Toyota Production System'. This system includes the same five Lean principles that Womack and Jones mention but also includes principles about vision, cooperation, and management. A detailed description of the TPS system and the 14 principles was given by Jeffrey Liker in the book 'The Toyota Way'. 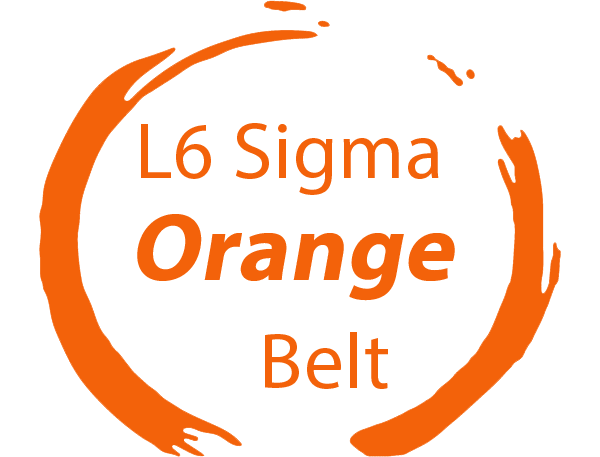 Six Sigma added an important sixth principle to the five Lean principles: increasing the capability by reducing variation, in every step of the production process. It started in 1979 when the CEO of Motorola Bob Galvin asked the question during a meeting: 'What is wrong with our company?'. Many managers then began to mention the standard, politically correct, excuses. When suddenly a lonely voice shouted loudly and clearly from behind the room: "I will tell you what is wrong with this company... our quality is bad!" It was Art Sundry, a sales manager for Motorola's most profitable business at the time. Bill Smith and Mikel Harry developed a new way to tackle problems in a structured way and which laid to the foundation for Six Sigma as we know it today. Six Sigma focuses on reducing variation in every conceivable part of the process. Less variation leads to less rejection, a more stable quality, and lower costs. Motorola's Six Sigma quality program was so radical that managers were forced to think differently about the company. Applying these concepts to Motorola's electronics production yielded $ 2.2 billion within 4 years and $ 16 billion within 15 years. One of the companies that embraced the Six Sigma philosophy was General Electric (GE) under the leadership of Jack Welch. General Electric saved more than $ 12 billion with Six Sigma in the first five years after implementation. The first Lean Six Sigma principle starts with the customer. After all, that is what we are all about. This starts with asking the question: "Who is our customer?" This sounds logical, but in some cases, it may still cause the necessary discussion. Customers can be external customers and as well as internal customers. Then determine what is of 'Value' for the customer. What are the main reasons for a customer to do business with an organization? Customer value means: 'The activities for which the customer is willing to pay'. It is clear that, by using this definition, not all activities add value to the customer. The question is therefore why we spend time on it. What is the use of doing things that nobody wants to pay for? The second Lean Six Sigma principle is to determine the value stream. 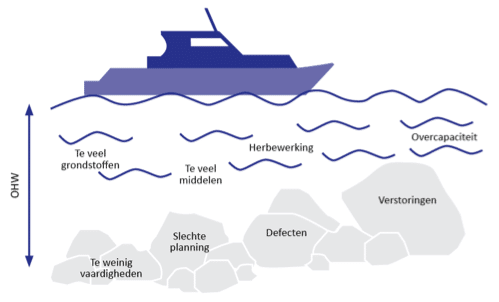 In order to improve the value stream, so-called waste is mapped and eliminated. 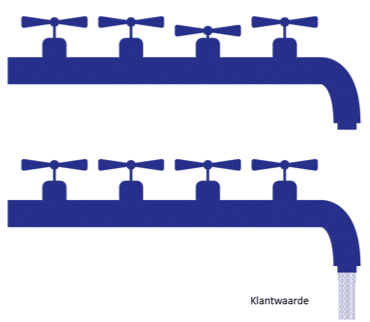 A value stream is defined as the series of activities required to deliver a product or service. Activities that do not add value are called "Non-value adding activities" or "Wasting". A technique such as 'Value Stream Mapping' can be used to map the value stream and waste. The basic principle is to eliminate all activities that do not add value. We will come back to this later in a separate module. 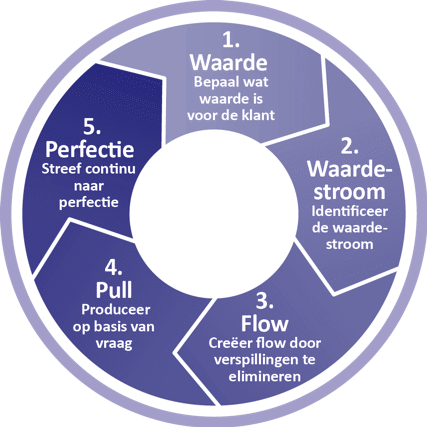 The third Lean Six Sigma principle is 'Flow'. It is important that the Flow is visible on the work floor. Lean is focused on getting the right things at the right time to achieve a constant Flow. Flow should not be confused with people who are busy. Employees who are very busy, machines that run and goods that are moved, do not immediately say that there is Flow. The easiest way to observe Flow is to take a look at both 'Doors' of the shop floor. Through the Entrance you see orders coming, parts, clients, sick patients, and so on. At the Output you see finished orders, finished products, satisfied customers, healthy patients and so on. Between these two 'Doors' the process is busy adding value. When you see products or orders, without anyone working on it, there is no Flow. Even if you see a group of people who are discussing what must be done, but do not add value at that moment, Flow is still not the case. Imagine what would happen if each step in the process would produce the amount which it is capable of, without taking into account what is actually needed. This would result in a real chaos. The fourth Lean Six Sigma principle 'Pull' helps to prevent this. Without Pull, huge stacks of stock and work in progress are pushed to the next process step to create space to produce more again afterwards. We call this Push. Increasing the efficiency of just one single machine or process step will only make the logistical chaos worse and result in excessive amounts of work in progress. If you visit the shop floor and you see that everyone is busy, that all machines are running and that there are stocks everywhere, this indicates that the organization is not Lean, but in chaos. "Excessive stocks means waste." Lean Six Sigma organizations, however, are organized, have insight and there is no stress. Lean Six Sigma organization work according to the 'Just In Time' principle. This means that production is only executed at the right time and in the right quantity. 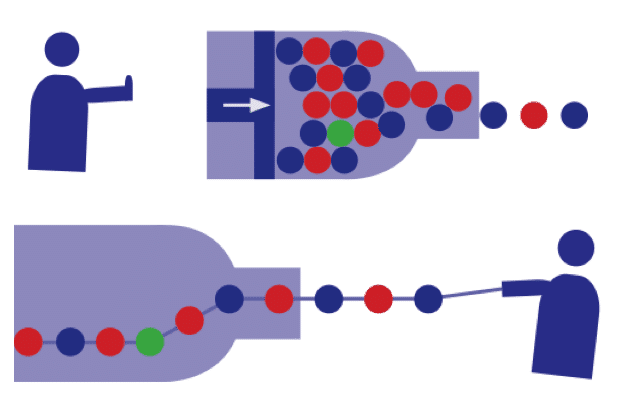 Pull means that the subsequent process step determines the amount to be delivered by the previous process step. This starts with the customer's request, which 'pulls' first. The fifth Lean Six Sigma principle is about striving for perfection by continuously improving the existing situation. This can be accomplished in various ways, such as implementing Kaizen projects, redefining processes or by executing Six Sigma projects. Kaizen focuses on the continuous implementation of small improvements, also known as Kaizen events. Small improvements give quick results. If you realize small improvements long enough, this will lead to a huge improvement over time. Kaizen focuses mainly on the shop floor and involves operators in the improvement process. Stubborn and recurring problems can be tackled with Six Sigma, using statistical techniques to reduce variation. These larger projects are carried out by so-called Lean Six Sigma Green and Black Belts. The sixth Lean Six Sigma principle is about increasing Capability. Process capability is the ability of a process to deliver products or services within the specifications. These specifications are called 'Lower Specification Limit' (LSL), or the lower limit, and 'Upper Specification Limit' (USL), or the upper limit. Process capability is only based on natural variation (common cause) and not on special variation (special cause). Process capability represents the best achievable performance of the process. This is achieved when the process is in a state of statistical control. Process performance is defined as what the process currently performs and what the customer experiences. Process performance is based on the total variation of a process in the long term and includes both natural and special variation. Since a process is seldom perfectly stable, the average will fluctuate over time, so the standard deviation for the long term is greater than for the short term. For instance, if you park the car 10 times in a garage on a certain day, there is a certain variation in the distance from the car to the wall. This is a short-term variation. If you park your car 10 times per day over a period of 30 days in the garage, the variation will be greater than for that one day. This is a long-term variation. Within Lean Six Sigma, standards are used that are related to a sigma level. For process capability, the Cpk is used. For process performance the Ppk. The higher the benchmark, the better the process performs. "By improving our business processes, we have started to work smarter and more result-oriented." 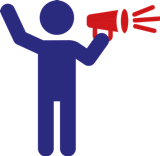 View our events and latest news items! Every company has the same challenge: 'How can we offer products and services with maximum value for our customers, at the lowest possible cost and with the shortest delivery time?' To achieve this, organizations use methodologies such as Lean and Six Sigma. In this module, we will review the history of continuous improvement in a nutshell. Treacy and Wiersema described three generic value strategies in 1997: Operational Excellence, Customer Intimacy, and Product Leadership. Although all three of these strategies are important, we will focus particularly on Operational Excellence and the way Lean Six Sigma contributes to this. The goal is to shorten lead time, reduce operational costs and improve quality. The concepts of efficiency and quality as we know them today have emerged for the first time during the technological or industrial revolution when a switch was made to mass production. No longer one person was responsible for a whole product, but large teams were. Henry Ford introduced the assembly line in 1912, which enabled mass production. He introduced the concept of 'Flow'. 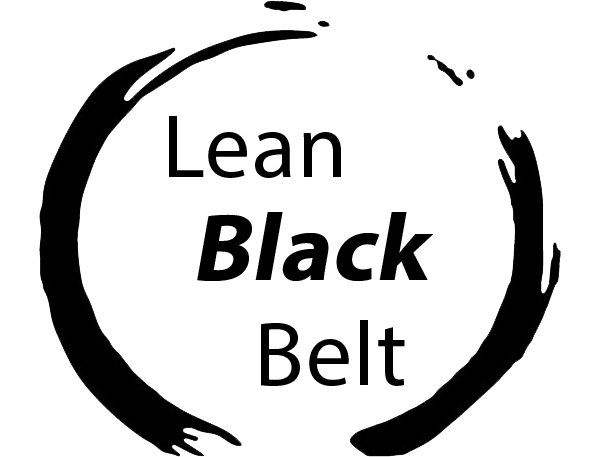 You could, therefore, argue that the basis of Lean was born, although the term itself was only introduced decades later. The scale and complexity of the second industrial revolution led to administrative problems. Taylor was the founder of the scientific management, which was based in particular on standardization and efficiency. Shewhart was an American physicist and mathematician. He is known as the father of statistical quality control. 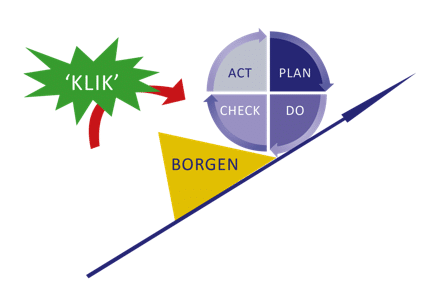 He laid the foundation for the SPC control card and is the inventor of the well-known 'Plan-Do-Check-Act' circle (PDCA). The application of statistical techniques has developed enormously during the Second World War when efficient production and quality became crucial parts of the war. Both the price of war equipment and its reliability were crucial. During World War II, the TPM methodology was developed by American factories that had to supply the army. TPM stands for Total Productive Maintenance and focuses on the efficient use of production systems, maintenance, and conversion. TPM was also introduced in Japan after the war. Another person who has made an important contribution to modern statistical science is Fisher. He developed, among other things, the ANOVA and the Design of Experiments. Techniques that are often used in Six Sigma. In the 1930s and just after the Second World War Toyota made a number of visits to the Ford factory. While Ford produced 8,000 vehicles a day at that time, Toyota had only produced 2,500 cars in 13 years. Toyota wanted to boost production but lacked the financial resources needed to obtain the enormous amount of stock and subassemblies, such as found in the Ford plant. They, therefore, developed the famous 'Toyota Production System'. This system has taken over some ideas from Ford, but also includes the philosophy of 'Just In Time', the 'Pull' concept 'and the' Jidoka 'concept, to prevent the problems and high costs of huge stocks. The term 'Lean manufacturing' was not introduced by Toyota, but in 1988 by the 'Massachusetts Institute of Technology'. Lean Manufacturing and the five Lean principles have been extensively described by Womack and Jones in two books: 'The machine that changed the world' and 'Lean Thinking'. After the Second World War, the Japanese also took huge steps in the area of quality management. Deming played an important role. He was an American statistician and studied with Shewhart for several years. The theories of Shewhart are the basis for the work of Deming. In 1950, Deming gave ten lectures on statistical quality control to Japanese CEOs for the first time. It is claimed that Deming had more influence on Japanese production than any other individual with a Japanese background. When he died in 1993, he just started to become known in the United States. In the mid-1980s, Goldratt introduced the concept of Bottle neck management, also known as Theory of Constraints. This concept is often illustrated with a bottleneck, where the speed of the flowing water is limited by the narrow neck. Imai is a Japanese management consultant and author, known for his work on quality management, especially on the Kaizen philosophy. This is based on short cyclical improvements from the workplace and the use of the PDCA circle. In 1986, Imai set up the Kaizen Institute to help Western companies introduce Japanese concepts and the Kaizen approach. It was 1979 when Motorola began to realize after a painful process why it had lost so much market share. Motorola stood at an important turning point in its history. The search for methodologies to drastically improve quality ultimately led to the Six Sigma approach. Six Sigma focuses on reducing variation in every imaginable part of the process. For this, the statistical techniques previously applied by, among others, Shewhart, Deming, and Fisher are widely used. Motorola added a structured methodology, namely the DMAIC approach. Less variation leads to less rejection, a more stable quality, and lower costs. Applying Six Sigma reduced Motorola costs approximately $ 1 billion per year. One of the companies that embraced and expanded the Six Sigma philosophy was General Electric. By using Six Sigma, General Electric saved more than 12 billion dollars in 5 years.